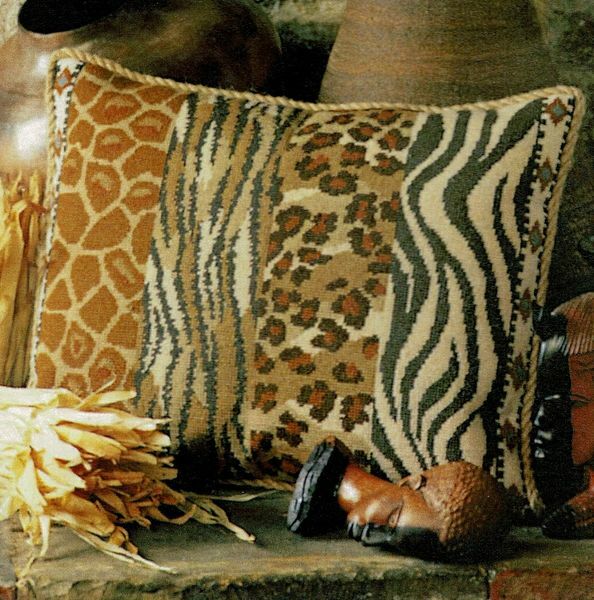 A striking pattern of African animal skins. This needlepoint kit comes with a full colour pre-stamped canvas. The design is worked in tent stitch or half cross stitch using nine shades of tapestry wool.